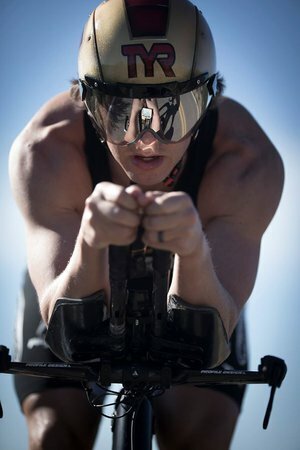 Ironman 70.3 Mont Tremblant, North American Championship, By Hunter Allen With a new baby, a new bicycle company (Dimond bikes), and training, TJ Tollakson is one professional triathlete that has to train efficiently and effectively. He cannot afford a wasted minute in his training and maintains a training discipline that many envy and few can follow. 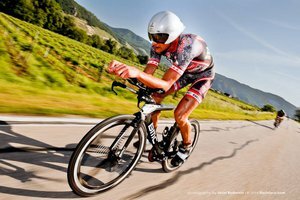 He uses two of the most important tools in training and racing to help him achieve great success, like his recent win in Ironman Mont Tremblant, and those tools are his SRM Training System and TrainingPeaks WKO+ software. “My SRM is so important, and I mount the PC7 right on my handlebars, so I can look at it without moving my head or position a single bit. 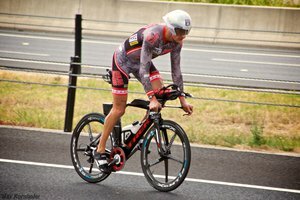 I look at my SRM almost the entire time and sometimes it feels like I am a Jedi knight controlling my power and heart rate just the way I want it.” TJ also uses TrainingPeaks WKO+ software to analyze his power and pace data and has a clear understanding of his power data and metrics. 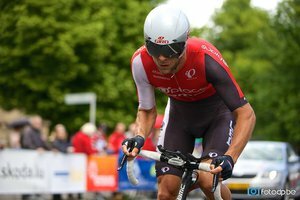 "I look at my Performance Manager Chart obsessively inside WKO+ and know what my FTP is at all times. 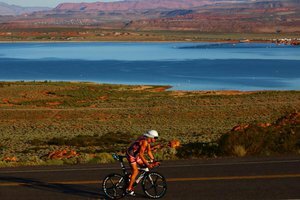 TrainingPeaks WKO+ software gives me the confidence to race smart and do the perfect pace for my FTP."